Sakamai is a “sake lounge” located in New York’s Lower East Side featuring a very respectable sake selection as well as a nice array of shochu and an assortment of signature cocktails. I’ve had the pleasure of visiting Sakamai a few times in the past year and have consistently been been pleased with their offerings as well as level of service. General Manager, Jaime Graves shows off a bottle of Isojiman Omachi Tokubetsu Junmai, a very pleasant surprise. Preparing Aoi, Sakamai’s Gibson martini. 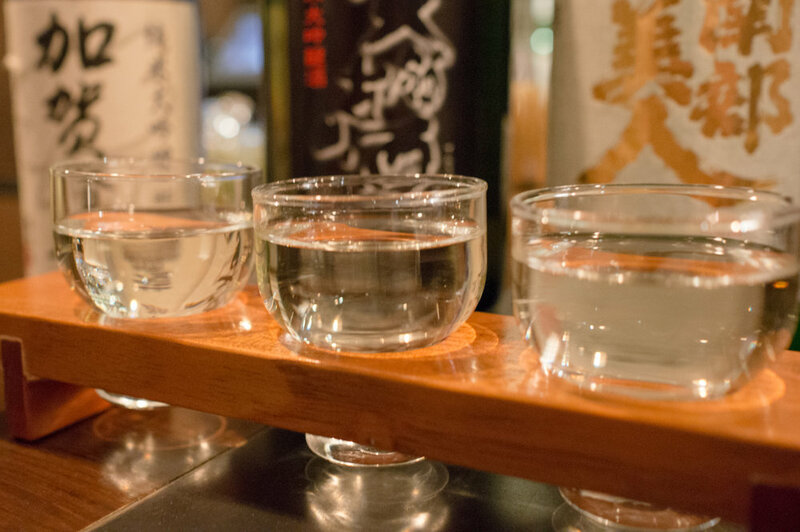 Daiginjo tasting set featuring Kagatobi, Tenryo, and Nanbu Bijin.